Executive committee members are City National Bank Managing Senior Vice President Susan Imbrigiotta; Stiles Portfolio Manager Kyle Jones; Bridge Development Partners Vice President Brian Latta; Avison Young Principal Greg Martin; Miller Construction Company Senior Vice President Traci Miller; and Marcus & Millichap Vice President and Regional Manager Ryan Nee. 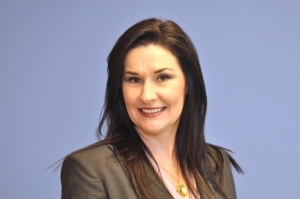 Heidi Davis-Knapik of Gunster, Yoakley & Stewart, P.A. is immediate past-president. Cushman & Wakefield Executive Director Christopher Thomson. The 2019 Board of Directors also includes an active Emeritus Board, which consists of: Stiles Corporation Vice Chairman Doug Eagon; Colliers International Executive Vice President John Geisen; Alice Lucia-Jackson, who recently retired from JLL as senior vice president; Miller Construction Company President Harley W. Miller; Liberty Property Trust Vice President Andy Petry; Stearns Weaver Miller Weissler Alhadeff & Sitterson Shareholder George A. Pincus; Akerman LPP Managing Partner Eric D. Rapkin; Avison Young Principal and Managing Director Pike Rowley; Sharpe Project Developments, Inc. President Orlando Sharpe; Buchanan Ingersoll & Rooney PC Shareholder Adele Stone; and Avison Young Senior Vice President Eric Swanson. For more information about NAIOP South Florida, visit naiopsfl.org.